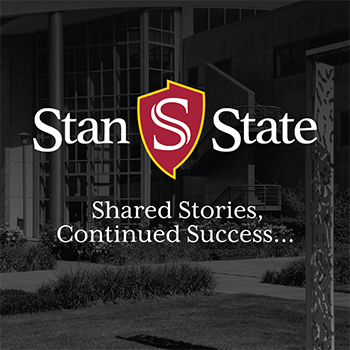 Stanislaus State was reaccredited by the WASC Senior College and University Commission (WSCUC) for nine years in July, 2010. Since the last Stanislaus State review, WASC implemented a new accreditation review process. This new process aligns accreditation efforts with the university's internal planning and review mechanisms and shifts from a compliance review to a validation of effective ongoing internal systems of review and improvement within the university. Our next Comprehensive Review will occur in Spring of 2019. 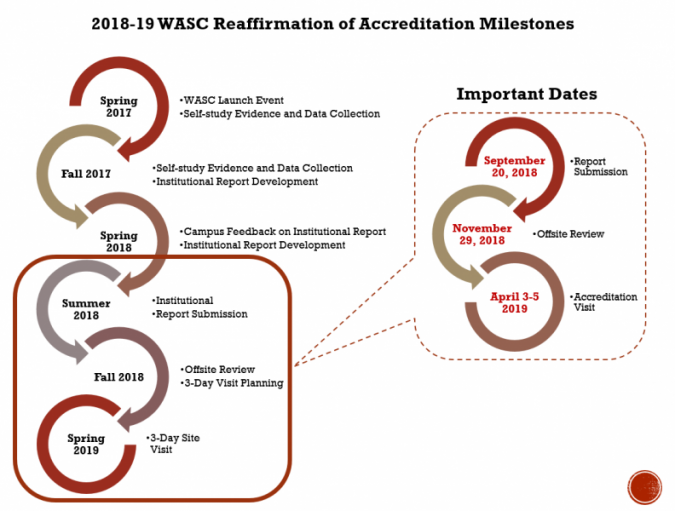 A WASC Steering Committee has been formed and they are committed to ongoing engagement and collaboration with the entire campus community in order to create the story of Stanislaus State, as discovered through the institution's self-study of its performance on WASC Standards and Criteria for Review (CFRs). The WASC Steering Committee consists of faculty, staff, students and administration which represents a wide range of campus stakeholders. The workgroups were created to ensure shared participation in the various areas of the reaffiramtion of accreditation process. Each workgroup is lead by two WASC Steering Committee members and all other member participation is on a volunteer basis. Submit your questions and feedback for the WASC Steering Committee’s consideration to: aworrell1@csustan.edu or anonymously via a web form.